"(...) buzina. Descobrindo o efeito sonoro do seu movimento, a criança repete-o um sem número de vezes, sempre de costas voltadas para a rua e sempre a olhar para a velha. Esta não esboça a mais pequena reacção ao jogo da miúda, mas, embora não lhe vejamos o olhar, sabemos que está com toda a atenção a ela. Atenção que, de certo modo, é devolvida, pois que a brincadeira da criança, sendo também uma brincadeira solitária, é uma brincadeira para a velha, ou uma brincadeira com a velha. (...)"
"Sobre NO QUARTO DA VANDA"
If sensitivity to a single shot or a film's title are worth a damn to the English speaking world, then film critic and historian João Bénard Da Costa's work will one day be recognized and translated. He died today (1935-2009). I only became aware of João Bénard Da Costa through my work on Pedro Costa, and what Pedro and other Portuguese friends have told me of João Bénard's importance. One of the few (the only?) ways you can see João Bénard Da Costa with English translation is in a penetrating interview about OSSOS (Pedro Costa) included on this dvd of the film. 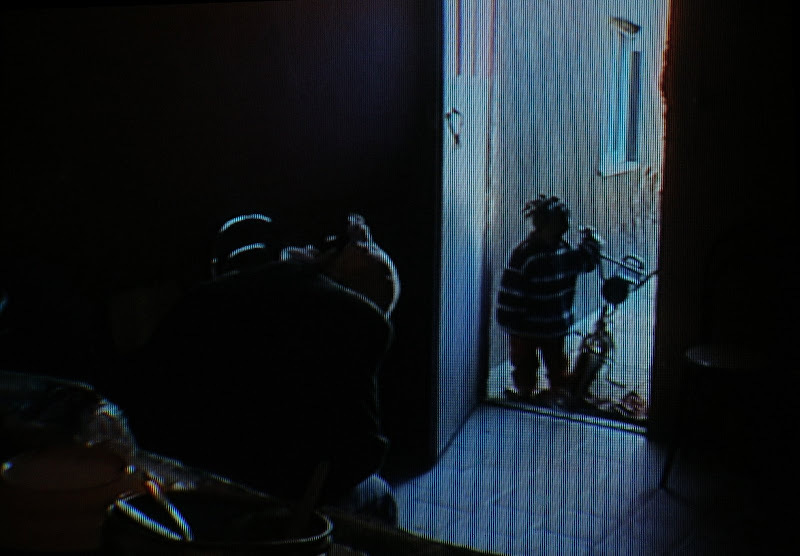 He wrote an entire text, a beautiful one, about the above shot, a single shot!, in IN VANDA'S ROOM (Pedro Costa). He wrote monographs on Hitchcock, Buñuel, Lang, Sternberg, Nicholas Ray, Hawks and Ford. He also did the kind of work you cannot completely transcribe or translate since it resides in the minds of hundreds of thousands of beneficiaries, that of being a great director of the Cinemateca Portuguesa since 1980. My impression is that there are many people who could say about the films and the light shed on them by João Bénard Da Costa "I would have died if you hadn't come back." Mr. João Bénard Da Costa is gone. The films will wait "all these years." Is it a lie Johnny Guitar? A good tribute Andy. Surely few people deserve it more than good old Joao, the last of the illustrated film archivists? The same as Langlois, he should be read attentively. I wish the tribute could be more substantial on my end. For English readers: I know of two pieces by João Bénard that will be translated in the near future, and hopefully made available online. I've read some of his work, but not nearly enough. Can anyone recommend specific available works in Portuguese? Dave, if you're fast, in the webpage of the Portuguese journal "O Público", there is a little anthology of some of his recent articles. Otherwise, the Cinemateca Portuguesa. Andy, you hardly could do more. I've known him for more than 20 years, was a dear friend, he published my first book... another friend lost. Bénard da Costa's popular book anthologies can be found here, where you can also find a short biography, but he has 58 bibliographical entries at our National Library.